I do not own these images. They are being used for educational purposes. It is is cropped from http://www.sherdog.com/news/rankings/3/Sherdogs-Official-Mixed-Martial-Arts-Rankings-135105 and Sherdog.com. He is coming back after two victories and his latest losses are to the champ Cormier and Anthony Rumble Johnson. Who I still believe probably has one of the hardest punches in MMA atleast when he was still fighting in the UFC. I do not own the Gif. All rights go to sherdog.com., the UFC and Zuffa and their fighters. You can see Gustaffsons speed and amazing uppercut that he landed against Jon Jones. The man many believe beat who a lot of people; including myself, believe to be one of the greatest of all time MMA fighters Jon Bones Jones. I know right now Jon has a lot going on right now trying to get back to fighting but I will always see him as a one of the best after his many victories of some of the very best in world. I still wish we would have gotten a Prime Anderson Silva; one of my favorite fighters since he defeated Rich Franklin; versus Jon Jones. But now that is not an option but a man that many believe give Jones the hardest fight of his career and in some people’s eyes actually did enough to defeat him by decision is healthy and ready to show the world again why he is one of the baddest men on the planet. I believe that after the Daniel Cormier vs. Stiope; which is an exciting fight and I’m really looking forward to, but I believe that either way if Jones is not back which seems to be the case, it should be Cormier vs Gustaffson for a rematch for the light heavyweight championship title. I believe the UFC could do well as far as marketing with this fight where you have a man that some believe defeated Jones and remove the controversery from Jones vs Cormier, was defeated twice by Jones. It would be an amazing fight I believe and it would prepare Cormier for Jones if that fight was to ever happen again, especially with the size and technical skill of Gustaffson. I dojt like to count their first fight because Gustaffson was not at his best in their first fight. From their I believe the winner should get Jones but I still believe Gustaffson deserves his rematch with Jon Jones no matter what though; whether its for a title or not. I’m happy to hear that one of my favorite fighters to watch is healthy and ready for his comeback and I can not wait to see his return. I hope that he eventually fights Cormier again either way mainly because I like both fighters and even though some dont know; but anyone who watched Strikeforce knows Cormier has insane power so it would be an exciting fight standing up as well. Even with the huge reach advantage, but it would be good for Cormier if he wins in convincing fashion and get him ready for round three with Jones. Or a win for Gustaffson so we can see another insane brawl against Jon Jones. Either way there are still some exciting potential fights with the return of Alexander Gustaffson. I’m definitely excited for his return even if he has to have a warm up fight coming back. What do you think the UFC has planned for Alexander Gustaffson, does he fight for a title right away or does he have a warm up fight? Who do you think won in their fight Gustaffson or Jones? And who do you have Cormier of Stiope? 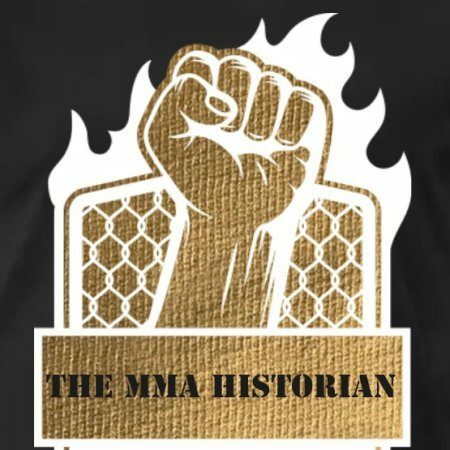 Leave your comments below and please follow the MMA Historian! 💪👌☝️👊🤛🤜👏✊😁 Ah Idk I dont use emojis but when I do…. NextDo You Want To Finally Quit Smoking Cigerettes? Do You Have $1 dollar to spare? THEN YOU NEED ONE OF THESE!!! !